Kaufman was born in Long Island, New York. She received her degree from Vassar College in 1947. In 1953 she married a doctor named Jeremiah Abraham Barondess with whom she had a son. At Vasser she did some editorial work and went on to writing. Her works appeared in The Atlantic Monthly, The Paris Review, and The Saturday Evening Post. 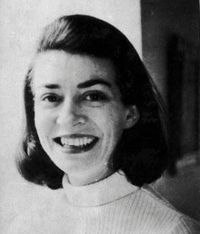 Her first novel came out in 1959. In 1967 she wrote Diary of a Mad Housewife, which would be filmed as Diary of a Mad Housewife. She died in Manhattan in 1977, at the age of 50, after a long illness. The Sue Kaufman Prize for First Fiction is named in her honor.